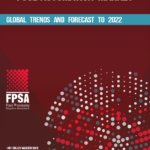 The Food Processing Suppliers Association (FPSA) today announced the release of its latest five-year global Trend Study forecast – Food & Beverage Processing Equipment Market. This follows studies for the Food Packaging Technology and Food Automation Markets which were released earlier this summer and will be followed this fall by trend studies for Prepared Foods Processing Market, Confectionery Processing Market and Fruit & Vegetables Processing Market. 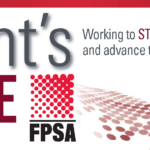 These studies will be released on a monthly basis and are free of charge for all FPSA member companies. Non-members can purchase these studies at a cost of $1,800 per study. 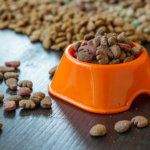 The Food & Beverage Processing Equipment Market Study joins the Food Packaging Technology Study and the Food Automation Market Study from earlier this year, as well as the collection of studies conducted in previous years for processed meats, poultry, seafood, dairy products, bakery, beverages, pet foods and prepared foods. To obtain these or any past studies visit https://www.fpsa.org/request-trend-report/ or contact Ann Marie Penaranda, FPSA Membership & Outreach Associate. (apenaranda@fpsa.org) or (703) 663-1213.